At Bows & Boats, it isn’t too much of a stretch to see some needlepoint from time to time. While it may be a bit different than the needlepoint your grandmother made you right after you were born, and probably a bit brighter, the basic premise is the same, we just wear ours. 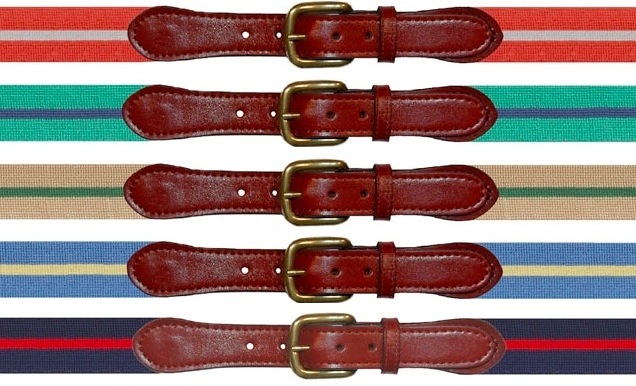 Primarily, we wear needlepoint belts in a casual environment which lends itself well to the bright designs we love. Most of the time, that’s fine, but what should you do if you want to sport some needlepoint in the office? A bright design may be okay for casual Friday, but, if you work in a “business casual” environment and want to work in some needlepoint the other 4 days of the week, take a look at the Surcingle Needlepoint Belts ($165) from Smathers and Branson. Sometimes when you wake up on the weekend all you want to do is sit around in shorts and a tee shirt. Unfortunately, you look like a total scrub if you just throw on an undershirt and sit on the couch watching TV. Even worse, if you have to run to the grocery store or head to the mall, your sloth is exposed for the world to see. No one is impressed. 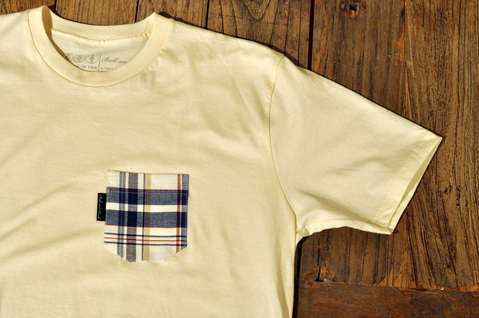 One way to be able to rock a tee and still be able to look good doing it is to try one of the new Pocket Tees ($36) from Ball and Buck. Back in December, we told you about one of our favorite places in Baltimore, The Quinntessential Gentleman. With a fantastic array of products, and a top notch staff, the QG is always a place we enjoy visiting. Recently, things have been taken to the next level at our local “Men’s Grooming Parlor”. 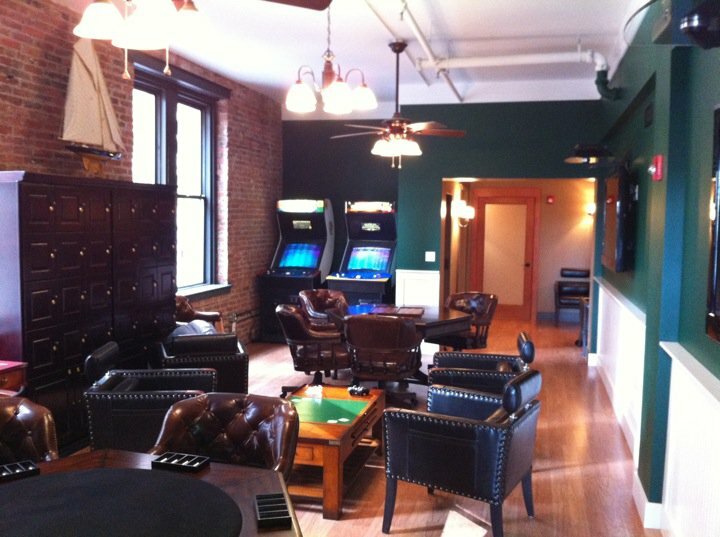 After months of work transforming over 1600 square feet, the wraps have finally been taken off the two newest additions to the QG family, “The SPA at QG”, and “The Office” cigar lounge. In addition, they have introduced a new membership program that offers private access to an incredibly well-appointed members lounge (shown). Bowties by Starboard Clothing Co. If you are a Bowties & Boatshoes fan on Facebook, or follow us on Twitter, you already know that in addition to his “real job”, and helping run Bows & Boats, one of our co-founders, Ben Meredith, also founded Starboard Clothing Co. On Monday, we talked about our love for bowties, and how it doesn’t matter if they come from a company that has been around for hundreds of years, or one that is just starting out. 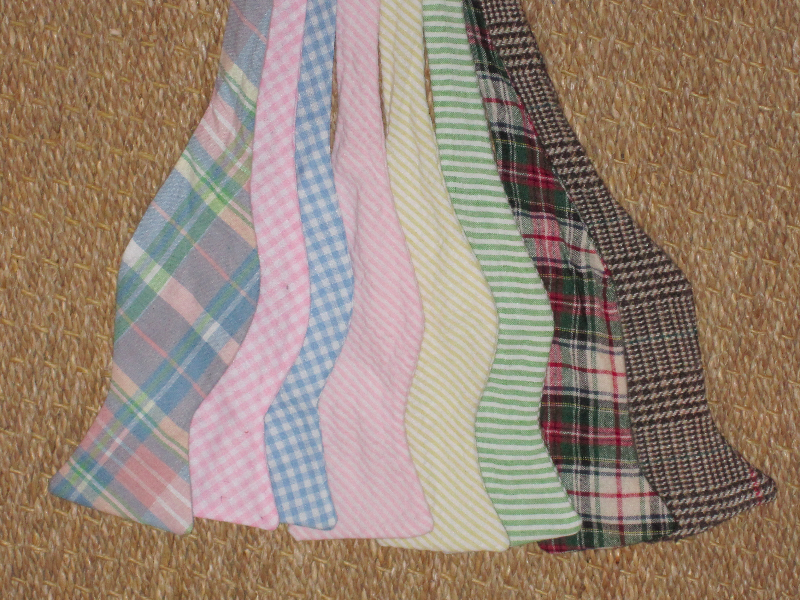 Starboard is the perfect example of young company that is turning out high quality bowties. With an extremely reasonable price ($35), you can’t go wrong with any of their offerings. There may be snow on the ground, but after a brief warm up last week, we are 100% in Spring mode. Though we aren’t wearing seer sucker just yet, that doesn’t mean that our favorite lightweight fabrics are inching their way closer to the front of the closet. One thing in particular that we will be seeing a lot of in the coming months is madras. From ties, to bowties, to shorts, to shirts, madras is never a bad choice. 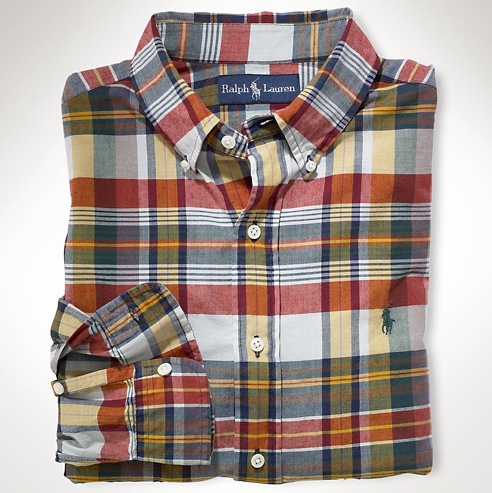 The Custom-Fit Madras Bleecker ($98) from Polo Ralph Lauren, is definitely going to work it’s way wardrobe this season. We’re a fan of baseline products that exemplify the East Coast Prep Lifestyle. If you’re one of our female readers, boatneck teeshirts are undeniably one of these baseline items that should be in your wardrobe. Whether there are already some boatnecks in your closet, or not, today we thought we should share the Perfect-fit Boatneck Tee ($32.50) by J. Crew. Bowties are a staple for us (shocker, right?). Whether they come from a small company that is just starting out, or a huge company that has been around for hundreds of years, we really don’t care, as long as they are high quality and great looking. 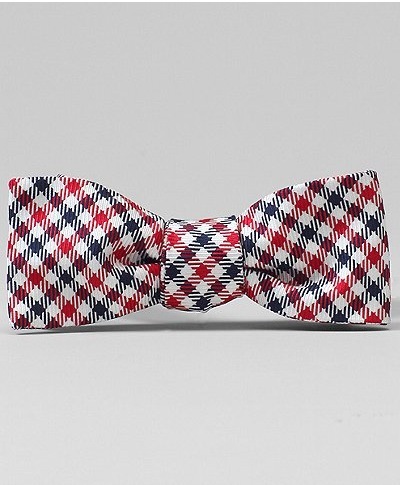 Recently, Brooks Brothers has released their Spring 2011 collection, and one tie that really caught our attention was the Houndstooth Silk Bowtie ($85) that is part of their Black Fleece line. Recently, our friend Nick from Knot Clothing and Belt Co. suggested we look into a small company called Harding-Lane. He told us that we would really like their hats, and he was right. It has been a long time since we have seen a hat that was truly different than others on the market without being something ridiculous, and Harding-Lane has come up with something we really like. 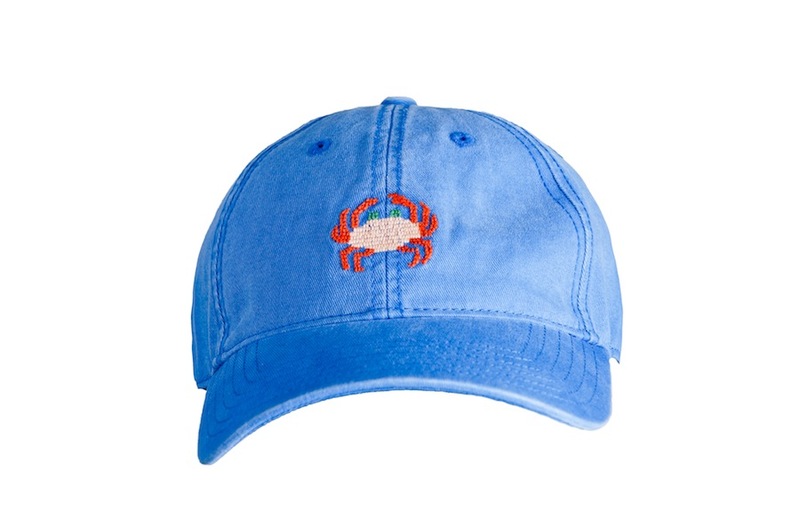 Their Needlepoint Hats ($24.99) are definitely a great idea. We’re entering the time of year where sunglasses are essential to your daily routine. Not only is summer coming up when you’ll be out and about and constantly exposed to the sun, but this is the time of year when the sun is hanging in the sky blinding you on your late afternoon/early evening drive home from work or class. 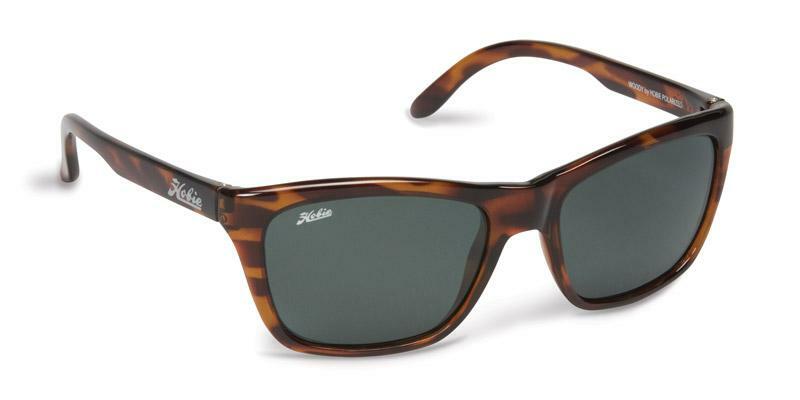 One way to deal with the ridiculous amounts of glare it to grab yourself a pair of Woody Sunglasses ($120) by Hobie. Many times, some of our favorite items are those that find inspiration from years past. It may be something that is inspired by an old cut of clothing, or something that was initially used by soldiers before becoming more main stream. 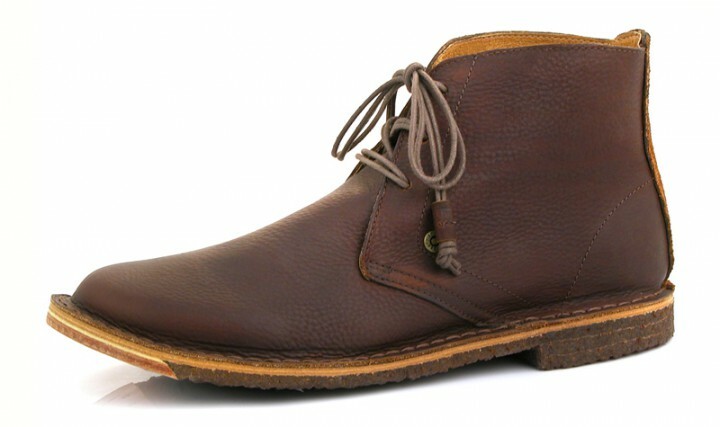 Desert boots first started showing up on the feet of British soldiers who were stationed in Egypt during World War II. Though the soldiers were only wearing them during their downtime, the boots started gaining popularity rather quickly. After huge success in the 60’s and 70’s desert boots basically fell off of the radar until the last couple of years. Luckily for us, many companies now feature a Desert Boot in their lineup. One of our favorites is the Mojave ($145) by J Shoes.